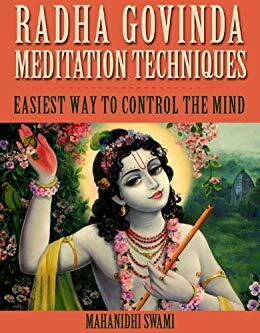 To learn how to do this, Sri Caitanyadevataught four essential DAILY practices of raganuga-bhakti to His intimate followers and all GaudiyaVaisnavas. 2) Think of your siddha deha! 3) Think of Radha-Krishna’s asta-kaliya-lila! 4) Offer mental sevas to Radha-Krishna! Caitanya Mahaprabhu and Raganuga Bhakti quotes and explains all Mahaprabhu’s teachings on raganuga-bhakti sadhana. Thus, this book containseverything you need to know about raganuga-bhakti! Dive into Krsna-lila! Sarartha Darsini by Srila Visvanatha Cakravarti Thakura contains wonderful commentaries on the complete Tenth Canto of Srimad Bhagavatam. 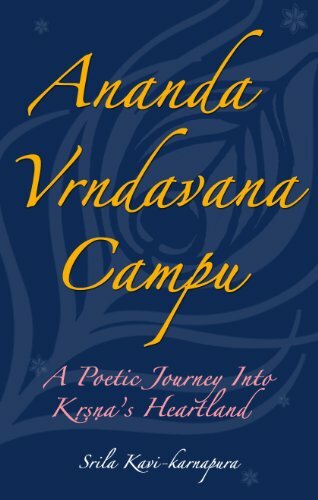 By his elevated realizations, illuminating dialogues, hidden inner meanings, technical analysis of Sanskrit words, and by his sweet revelations, Srila Visvanatha Cakravarti Thakura reveals (darsini) the essential (sara) meaning (artha) of each rasa-laden verse of the Tenth Canto, while unveiling Krsna’s loving exchanges in Vrndavana, Mathura and Dvaraka. The printed glories of the holy name began as a wave; turned into nectar; expanded to an ocean; and finally transformed into an art–The Art of Chanting Hare Kṛṣṇa. Vrndavana is filled with unlimited spiritual variety. Everything there is wonderful. Everything there is effulgent with the sweetest nectar. The fifty holy places located around Radha’s fabled lake of love are fully described here. You will discover the prayer huts of the hermits, the tombs of the saints and the temples of Radha and Krsna. 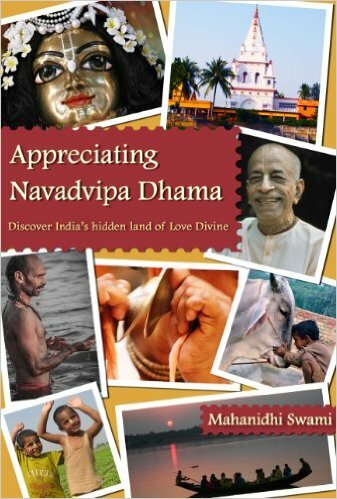 The book is full of fascinating stories about Radha and Her loving exchanges with Her beloved Sri Krsna. 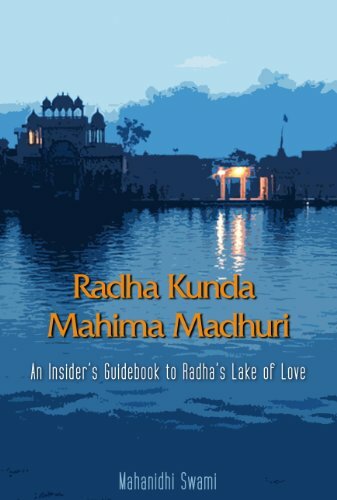 The unique identity and significance of Radha-kunda which is the holiest place in Vrndavana, is fully revealed in this wonderful book. The name of Navadvīpa is famous in the world because here the nine methods of devotion to Lord Śrī Kṛṣṇa, namely, hearing, chanting, remembering, serving His lotus feet, worshiping Him, offering prayers, becoming His servant, and surrendering everything have all taken form. 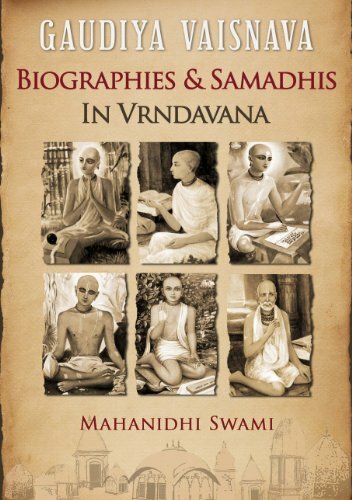 Gaudiya Vaisnava Biographies and Samadhis in Vrndavana is actually two books in one: a guide to samadhis and a biography of eighty eternal associates of Sri Caitanya Mahaprabhu. With words, maps and photos the book shows the reader the types, location, and history of Vrndavana’s samadhis. 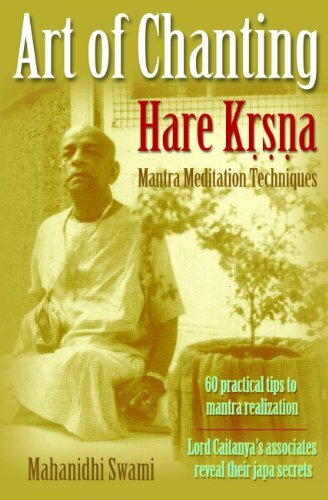 Prayers, ways of worship, and secrets on finding treasures of mercy make it a valuable handbook for advancing in Krsna consciousness. In Kali-yuga, Lord Sri Kṛṣṇa and His eternal pleasure potency Srimati Radharani appeared five hundred years ago in a combined form as the Golden Avatara, Sri Kṛṣṇa Caitanya Mahāprabhu, to distribute kṛṣṇa-prema. The mission of Lord Caitanya is to scientifically teach people how to develop pure love of God. Jagannatha Puri is definitely the most colourful and intriguing of all India’s holy places. 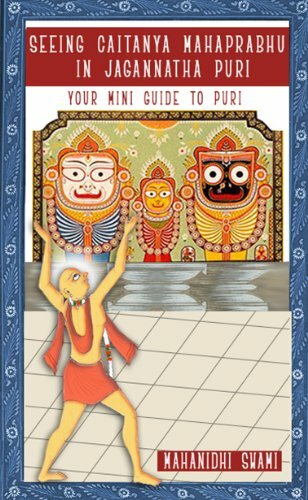 The book contains in-depth description of all the rites and rituals performed in the ancient temple of Lord Jagannatha. There is also a step by step guide to every holy place inside the massive temple complex and a full description of all the special spots around Puri which are sacred to Lord Jagannatha and to Sri Krsna Caitanya. 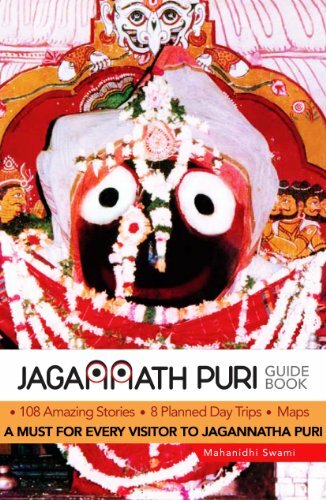 With its maps, location descriptions and 8 planned day trips, this book is a must for every visitor to Jagannatha Puri. 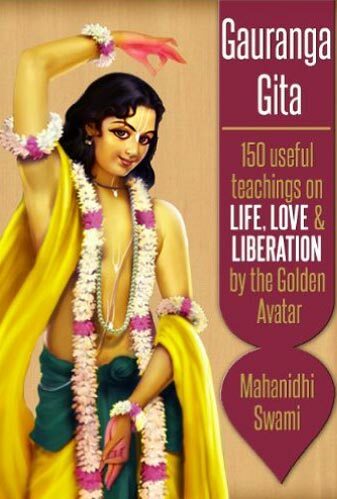 This mini spiritual guide takes you in the footsteps Sri Caitanya Mahaprabhu, and shows you each sacred place wherein the Lord of Love (Prema Purusottama) experienced ecstasy in communion with divinity. All the astounding and wondrous activities of Sri Caitanya Mahaprabhu in His exchanges with Lord Jagannatha in Puri are fully described here. This is the first English translation of Locana Das Thakura’s 16th century Bengali classic. The language flows like music as it poetically depicts the teachings and inner ecstatic life Sri Caitanya Mahaprabhu. 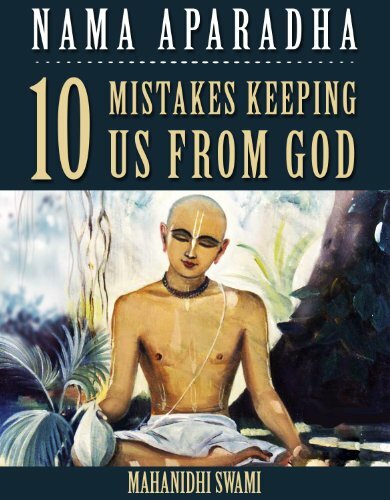 Every incident comes alive as the reader immerses in Sri Caitanya’s blissful pastimes from His boyhood days to His taking Sannyasa. Like a master musician, Locana Das Thakura uses words to carry one to the land of lila, wherein the Golden Avatara of Love Divine shares the most intimate exchanges with His loving devotees. 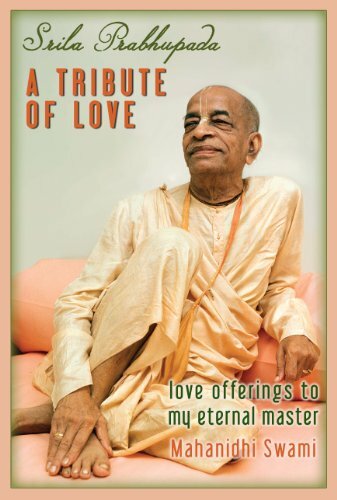 Enter the land of eternal love by turning the pages of this devotional classic! 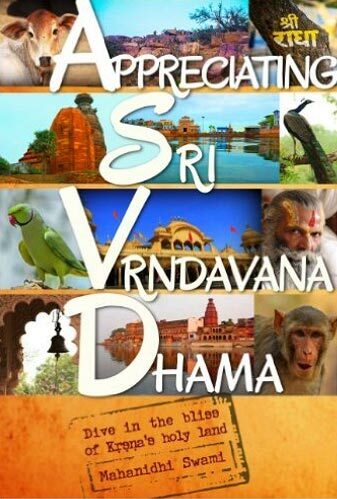 This is probably the most poetic and intimate portrayal of Sri Krsna’s life in Vrndavana that has ever been written. 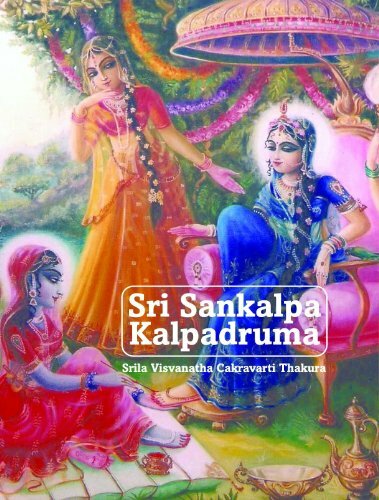 Five hundred years ago, Sri Kavi Karnapura, the author, was blessed and empowered by Sri Krsna Caitanya to write transcendental literature about Radha and Krsna. 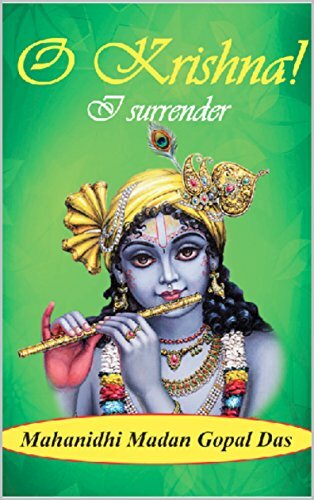 This book overflows with unexcelled charm and wit, and rich metaphorical language in its portrayal of Bhagavan Sri Krsna’s action-packed, love-filled adventures in blissful Vrndavana. Guaranteed, this book will be one of the most satisfying and rewarding books you have ever had. A moment-by-moment minute description of Radha Krsna’s action packed, love-filled activities in the spiritual world. 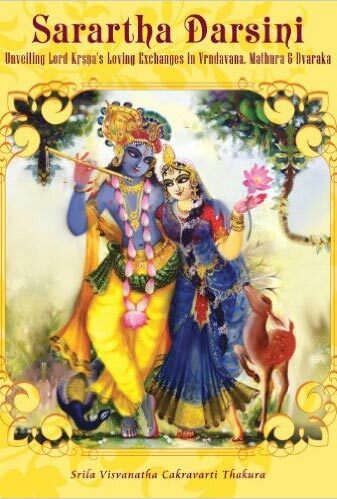 The best parts of all the Gosvami works have been collected here to vividly describe the wonderful eight-fold eternal daily pastimes (asta-kaliya-lila) of Radha-Krsna and all their loving associates in the divine realm of Vrndavana. 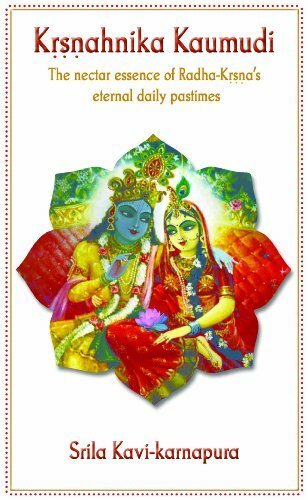 This book is a must for anyone who truly wants to know what Radha and Krsna do throughout the day in the spiritual world. This book is concise, fast-moving, emotive and filled with details, color and fun. 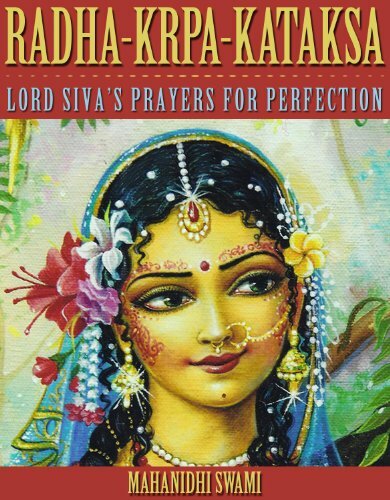 Ride the waves of Kavi Karnapura’s words into the highest dimensions of Radha-Krsna’s divine play, Their eternal eight fold daily pastimes (asta-kaliya-lila) wherein love, beauty, sweetness and charm prevail in every thought, word and deed. 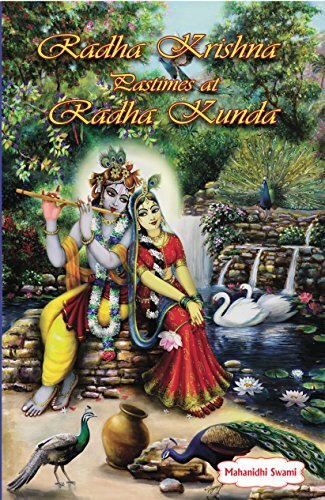 A beautiful collection of twenty-eight joyful, exciting and absorbing pastimes of Radha-Krishna at Radha Kunda in Vrindavana. 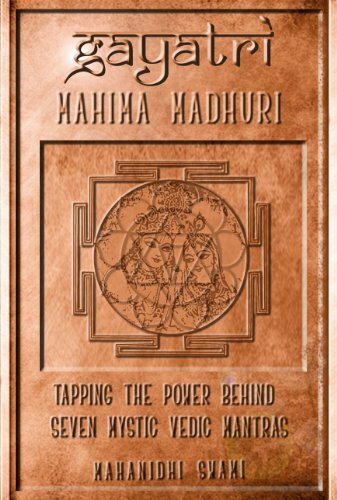 You will journey to a land of thrill, enchantment and charming delight as you read stories such as “Talking Trees”, “Rapture at Radha-kunda”, “Tigers and Sunshine”, “A Rival’s Reflection”, “Thief or Queen?” and “A Wager of Love”. This is the most popular prayer in Vrndavana. It was composed by Lord Siva in Sanskrit. With the choicest melodious words, this prayer minutely describes the beautiful sweet form, attributes and divine play of Srimati Radharani. Reciting this prayer will free you from all your problems and quickly grant you the eternal service of Radha and Krsna in the divine realm of Vrndavana. 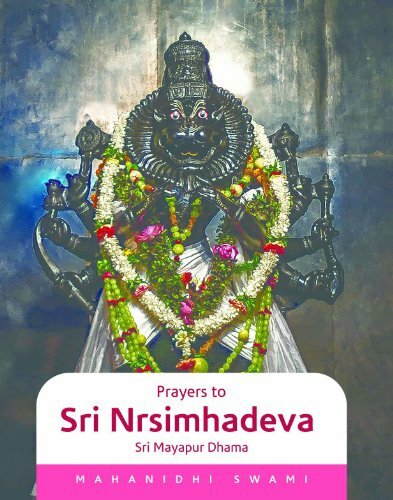 Lord Siva also glorifies Lord Sri Krsna in another prayer in this book entitled Krsna Krpa Kataksa. Reciting both prayers together will definitely fulfill all your pure desires. This book transports one to the spiritual realm where eternal life moves joyfully free from the limits of time. 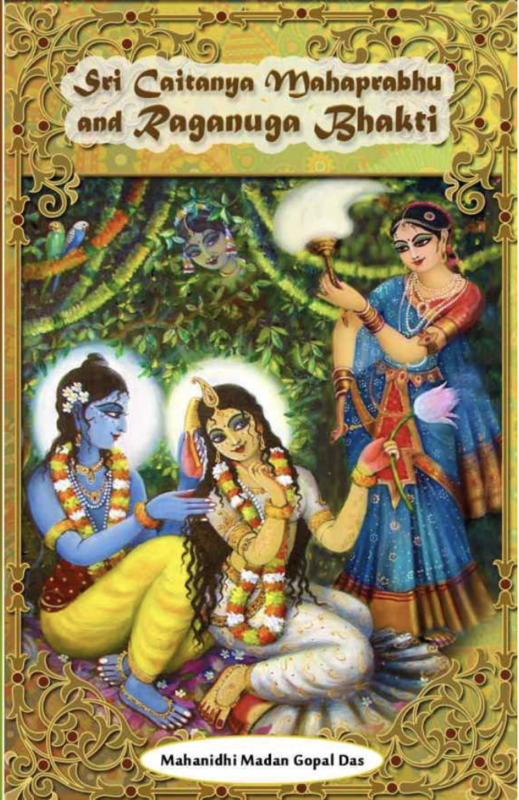 Discover the world of serving Radha and Krsna in the enchanting Lord of Love Divine. 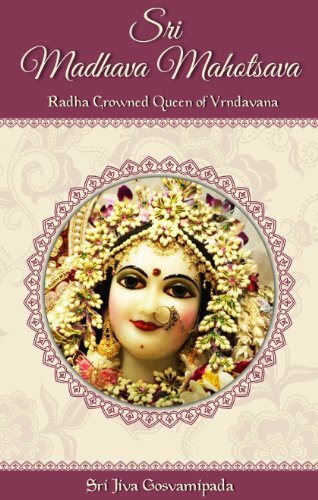 How did Srimati Radharani become known as Vrndavanesvari, “Queen of Vrndavana”? This 16th century classic describes Radha’s coronation ceremony wherein all the damsels of Vraja and the celestials of heaven attend the royal ceremony which includes nine luxurious baths and elaborate dressing and decorations. A surprise climax fills all with joy as Bhagavan Sri Krsna suddenly appears to place the symbolic coronation flower garland around the neck of His eternal beloved, the beautiful Sri Radha. Read this wonderful divine play and be transported to a land of joy, a land of mirth and a land of love. 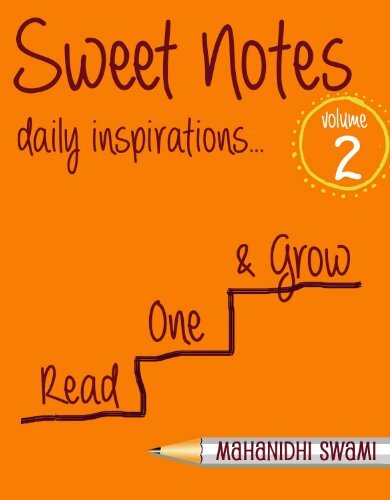 This small book reveals the feelings of a heart crying in surrender. 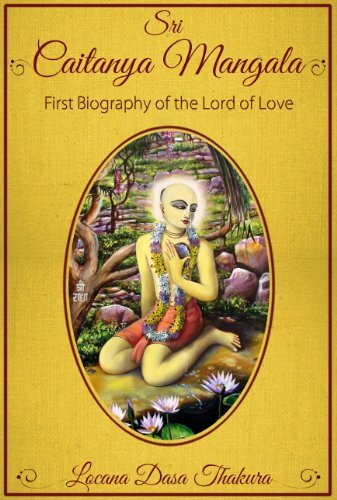 Reading it will carry your heart into the heart of Bhagavan Sri Krishna and fill you with joy. Everyone wants happiness, peace and love but few know how to get it. Be all you can be, and more through these practical tips to better living, well being and fulfilment. Topics include: behaviour, compassion, difficulties, family life, old age, hope, karma, patience, success, and 100 more. 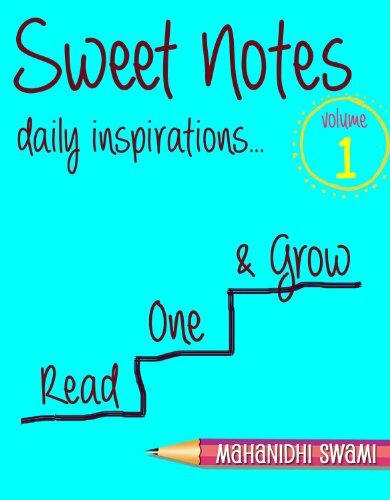 Now read one and grow. 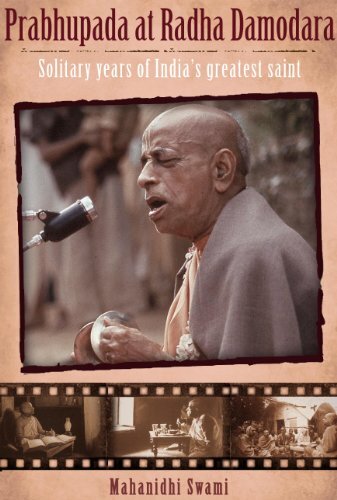 Srila Prabhupada the world famous founder of the Hare Krsna movement (ISKCON) lived in seclusion for 6 years before leaving India to spread the teaching of Bhagavan Sri Krsna all over the world. Srila Prabhupada passed his time in Vrndavana in a small room in the medieval temple of Thakura Radha Damodara besides the Yamuna river. Read about his daily practices, prayers, realizations and profound experience of divinity during those quiet years of introspection and solitary life. 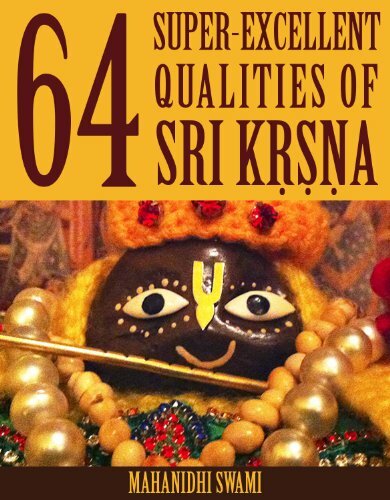 This little book contains description and example of Lord Sri Krsna’s 64 divine qualities. You will learn how to experience God’s qualities in your everyday life, and thus become a blissful spiritual being yourself.